Trade talks the focus of 2019 as both steel and scrap values start the year down. 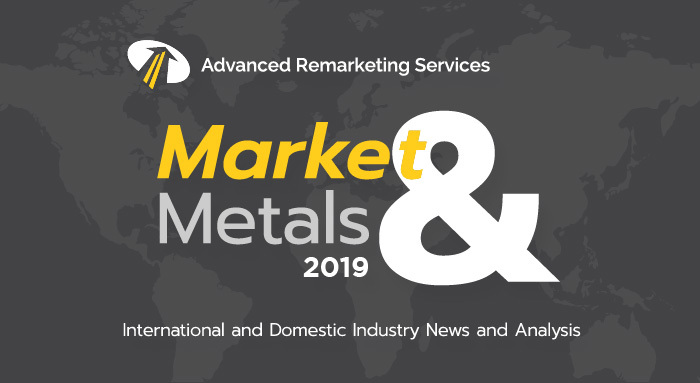 The scrap metal market report from Advanced Remarketing Services is a snapshot of the recent happenings in the scrap metal industry. Our report is specifically focused on the price of scrap steel from crushed autobodies. Each monthly report is a review of the market performance in the previous month. The first report of 2019 relates to the end of the last year and shows a small decline in value to close out 2018. On average the percent change from the last month resulted in about a 1% decrease. The average price of crushed autobodies to start 2019 is just over $192/ton. Compared to the start of 2018 the market is starting out this year over 13% higher. All zones across the country fared relatively similarly. 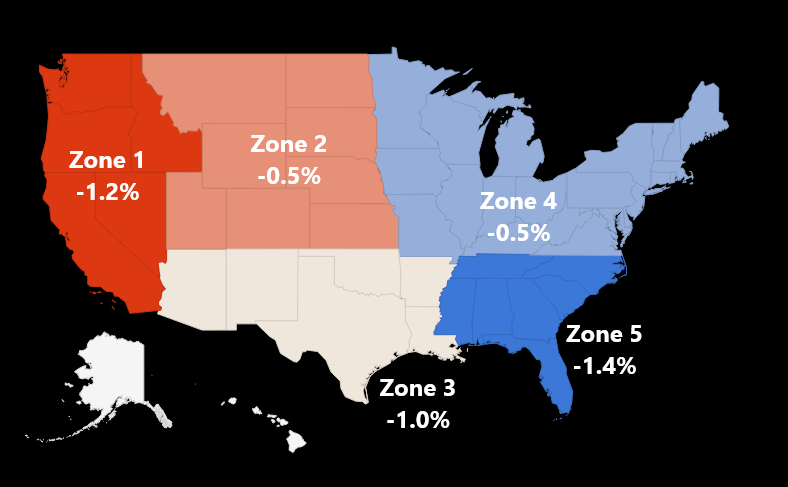 Each of the five zones saw a decrease between 0.5 – 1.5% compared to the previous month. Lower demand is hurting steel prices as 2018 gains are being erased. Struggling steel prices and lowered demand have been passed along to the scrap market as well. From around the industry the major concern being talked about that is hurting prices is there is nowhere overseas to sell scrap steel to. With China and Turkey not in the market, sellers are stockpiling the metal as values quickly fall. In effort to move forward trade talks, U.S. debating lifting tariffs on China. As the trade battle with China wages on the idea of lifting tariffs have been proposed. There is a March 1st deadline to resolve the dispute between the U.S. and China and relieving these tariffs could be what helps get it done. This proposal from Treasury Secretary Steve Mnuchin is still very much at the discussion stage but this story is being watched very closely. These talks with China will very much set the stage for steel and scrap markets for all of 2019.